When the weather forecast says "sunshine and showers", the Texapore 2in1 Hat from Jack Wolfskin is the headgear of choice. The waterproof and breathable Texapore delivers reliable protection in wet weather. 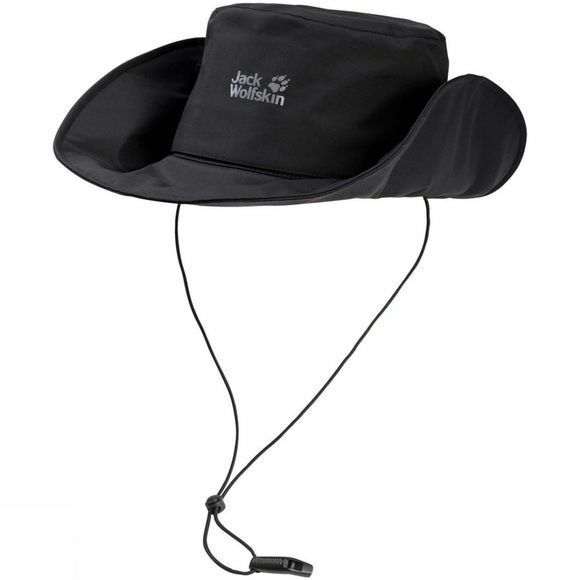 The airy mesh lining enhances the wear comfort and when the sun comes out, the waterproof crown can be removed to leave you with a well ventilated Supplex sun hat.